I love to change and improve things so being a librarian is the best place to be for me. I love challenges and this profession offers many of them. I am responsible for all aspects of the administration and in-house training of the Innovative Interfaces automated library system. Provide smooth operation and support for library material availability to library patrons. Actively participate in the development of library policies, procedures, new initiatives and workflow. Her duties and responsibilities are to: Coordinate and manage Jenkins Law Library automated system (plan, implement, and evaluate use of Jenkins” III integrated library system for all aspects of library’s operation; administer and maintain the current integrated library system; troubleshoot functionality issue and interpret/resolve user problems; investigate, evaluate, recommend and implement system upgrades and new functionality; serve as a primary library liaison with Innovative Interfaces, Inc. Coordinate and manage operation of JLL Technical Services Team: (lead and facilitate continuous improvement of technical services operations; coordinate and oversee the Jenkins Cataloging Processing Center used by area law firms. Cooperate with other Team Units: (assist Executive Director and Library Assistant Directors in various aspects of overall library administration, including short and long-range planning, formulation of library policies and procedures, and personnel supervision; work with Web Master on improving access to Jenkins’ resources via JAC and Jenkins website; work with IT on coordinating support for library system and smooth transitions to new technology; work with library Collection Reference and Circulation Teams on enhancing access to library materials in OPAC; help integrate electronic resources and digital texts into the library’s collection of information resources; enhance access to materials available via JAC and Jenkins website. My area of interest, research and work is metadata. I believe that metadata is an integral issue of OBS because it is one part of a whole world of issues. OBS is the place where I can ask metadata questions that relate to real world problems. Law librarians, especially those of us in OBS, have jobs that revolve around problems that can be solved by looking to the larger law library community. We worry about what we make and share. We want to be sure that our records are quality controlled and consistent. We have to be concerned about where our metadata comes from, who manages it, and what type of programs and services that we use in order to be conscientious professionals. The rules and systems we work with are changing and OBS is the community where we can stay informed and supported. I am honored to have been nominated as Vice-Chair/Chair-Elect of this section because I believe that the OBS-SIS is a lifeline for many professionals that face difficult questions. What OBS-ers do is unique and not replicated by any other SIS available in AALL. I want to show the entire law library community how important this section is to a unique cross-section of people. I would be honored and pleased to work as Vice-Chair/Chair-Elect of a SIS that changes challenges into triumphs. When I was in library school twenty years ago, one of the terms continually used by our professors was “paradigm shift.” The World English Dictionary defines it as “a radical change in underlying beliefs or theory.” We are in the midst of a paradigm shift with the change from AACR2 to RDA. Along with this is the transition from MARC to a yet to be determined carrier of the content of a bibliographic record. How are our local systems going to evolve to accommodate these changes? What will the economic impact be? These are areas where the OBS-SIS will play an important role in educating us. It would be an honor to serve on the OBS-SIS board as we go through this transition. My library school classmates came up with a t-shirt, “Where were you when the paradigm shifted?” Perhaps it’s time to pull that shirt out again. 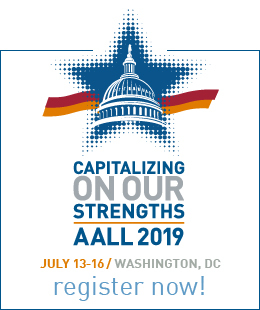 Attending the AALL conference for the first time this past July and seeing the commitment and dedication of members, particularly those in the Special Interest Sections, I knew I wanted to get involved and be not just a member, but a member who contributes. Naturally I was delighted and honored when approached by the OBS-SIS Nominating Committee about being a Memberat- Large candidate. I am new to law libraries, but not libraries, having served as Technical Services Librarian at a large community college for a number of years prior to becoming Technical Services Librarian at the Wake Forest University law library. I am excited to learn more about the challenges and opportunities of providing online bibliographic services in the unique environment of a law library while working with colleagues in OBS-SIS towards solutions. After many years working as a system administrator for an academic library consortium sharing an integrated library system, I have seen time and again how cooperative efforts lead to success and creative solutions. 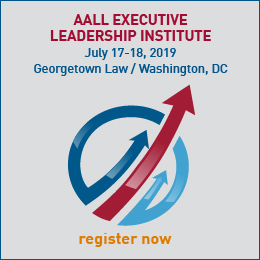 In the Member-at-Large role I will work hard to promote the section and its important work to all AALL members and do my best to represent the interests of other OBS-SIS members. I will be dedicated, dependable and enthusiastic. I know I will learn a lot in the role, but I also hope to contribute and provide a new perspective. Thank you for considering me as a Member-at-Large candidate.